How To Start An Internet Radio Station? What a great idea to create and manage your online radio station. The first things which come to your mind are how to start, what are the equipment required, is there any license and of course how much it will all cost. We are going to check all the steps here on how to set up a successful internet radio station as amateur or commercial. An internet radio station is much simpler and easy to set than the ordinary terrestrial radio station. Internet radio as stated uses internet connection to send audio in forms of data. This process is called a stream in which data is transmitted in a continuous flow. To achieve that, you will need to have a streaming server which will stream the audio content over the internet and to your listener’s devices. Good internet connection — This is important if you are looking to do live radio. Good bandwidth is required to upload data to the streaming server. A website & Apps — This is actually from where your listeners will be listening to your radio. You can eventually buy more tools such as a condenser microphone, headphones & amplifiers, a mixing board and a boom mic stand just to improve your studio set up. 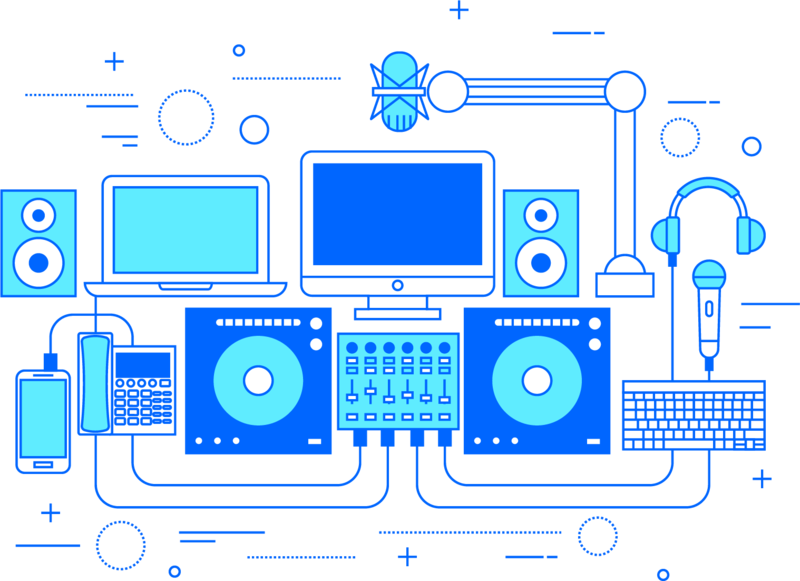 Broadcasting on the internet is open to all public and doesn’t require a license to broadcast online compared to the traditional terrestrial radio which uses radio waves. Nevertheless, is it required to pay radio royalty if you are going to transmit content that you don’t have the rights. If you are located outside the USA, you can check for your local copyright collection societies here on Wikipedia. The cost of running your internet radio station will depend on your radio station format and the number of listeners you are targeting. Running an internet radio uses web resources such as bandwidth and disk space. That’s why it’s important to make a plan first of your actual audience and what you will need. A small starter plan starts at $9.90 per month with Wohooo and the price increases if more resources is needed. Just like web hosting you are paying a monthly cost for the hosting of your online radio on the company streaming server. The Wohooo blog for radio internet broadcasters.